Facebook, almost on the verge of having 2 billion monthly users, is an advertising platform that cannot be ignored at any cost. Given the accuracy of insights it offers, it is more effective to run Facebook paid campaigns and generate more ROI. If you want to make the most of this platform, it is recommended to follow these 5 tips. These tips will help you in running successful Facebook paid campaigns. 1. Start by Using Audience Insights Using Audience Insights, you identify your target audience before investing in paid campaigns. It involves mining the Facebook data and displays your target audience by comparing with the people who have liked your profile page. So, even before you start your paid campaigns you will be able to know the users whom your ads will reach out to. Thus, using Facebook Audience Insights allows you to focus on the ads and not on doing research to identify the target audience. 2. Maintain Consistency between Ad & Landing Page Just like your other paid ad campaigns, it is important that your Facebook ads also maintain consistency with the landing page content. •	It helps boost Ad Relevance Score. This will help in reducing per click costs. •	The consistency between the ads and landing pages help boost conversion. When you deliver exactly what is promised in the ad, it helps meet their expectations. When you maintain consistency between what your ad promises and what your page delivers, it helps add credibility to your brand image and builds trust. 3. Match Ad Sets for Audience Facebook’s ad platform allows creation of specific ad sets targeting your audience. This helps in targeting each audience set in a far better and more effective way. Create entirely different ad sets for different audience types and drive the best-possible ROI. 4. Testing Ads: Test One Element at a Time When it comes to testing ads, it is recommended to choose your currently best-performing ad and testing it by making changes to one element at a time. For example, you can choose your best ad and make changes to its headline and test the different versions. Once you have found the version with the best-performing headline, you can similarly create different versions based on some other ad element such as image or description. 5. Understand the Bidding Options Make sure you fully understand bidding options if you want to run successful Facebook paid campaigns. Facebook does the bidding based on what you want to achieve with your ads. Once you have chosen whether you want to increase your likes, new users or attendance, it will optimize your ad based on selection of basic pricing model or Advanced Pricing. Facebook has emerged to be much more than a social network. It allows you to precisely target your audience due to access to advanced user data. Audience Insights is a powerful tool to help your ad campaign reach exactly the audience that is likely to be interested in your offer. 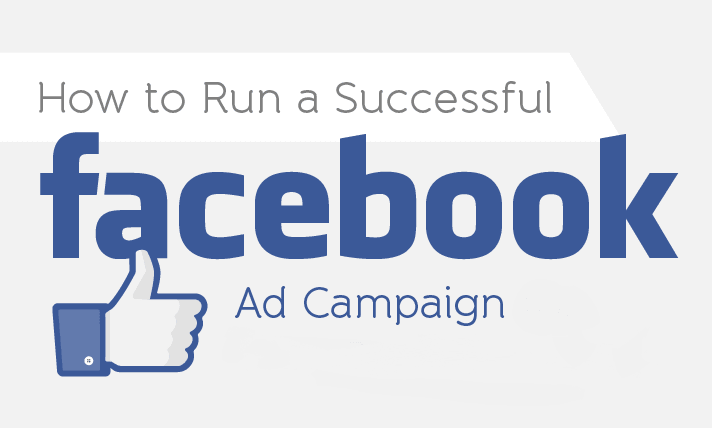 Make sure to follow the above-mentioned tips to run successful Facebook ad campaigns.